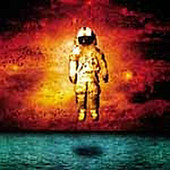 From the acoustic-based "I Will Play My Game Beneath The Spin Light", through the guitar-chugging pop-punk anthem "The Quiet Things That No One Ever Knows", Brand New's sophomore effort, Deja Entendu, finds the band growing and maturing, expanding beyond their debut's pop-punk-emo salute. This time around the band doesn't leave the emo or pop-punk at the door, but they tone it down, resulting a more diverse, more-than-one-dimensional offering that can be gut wrenching and break-up heavy at times, while during other times is more inviting with unforgettable melodies and spinning hooks. A great offering from a band that realized the need to grow and grow up, and they accomplished it. I'll give it a B.